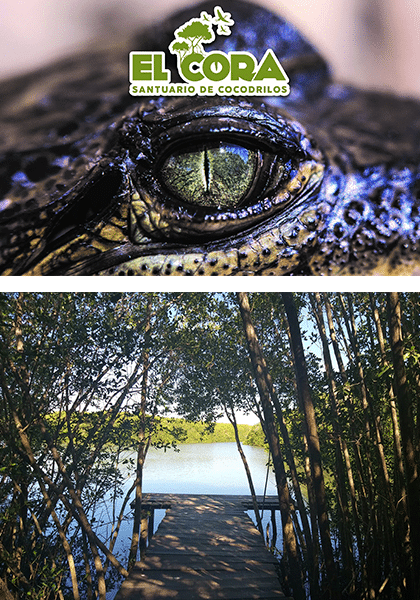 The El Cora Crocodile Sanctuary is located in the heart of the mangroves of the El Quelele Estuary right next to the Flamingos Golf Club. This natural area has been renovated with new experiences and services for locals and visitors to the Riviera Nayarit. The sanctuary is an Environmental Management Unit authorized by the Ministry of the Environment and Natural Resources (Semarnat) that handles protection, conservation of species, environmental education, and ecotourism. The El Cora Crocodile Sanctuary tour is great for families with children four years old and up who are ready to interact with nature. 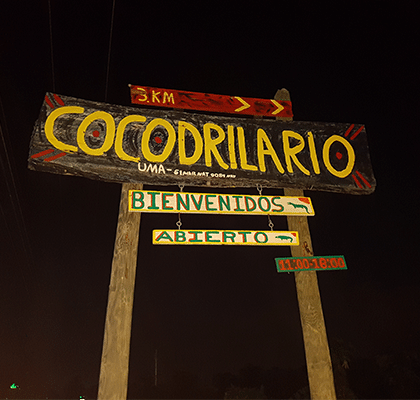 There are guided tours for groups up to 20 people at the El Cora Crocodile Sanctuary starting every 20 minutes and lasting approximately 1.5 to 2 hours. 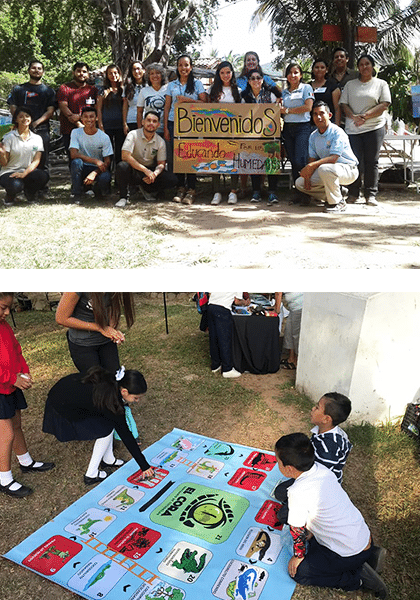 During the tour you’ll have the chance to learn more about environmental education, crocodiles, and the rescue and protection of wild flora and fauna. Specialized biologists and veterinarians are in charge of leading the tours, so you’ll be able to interact with crocodiles and, if the time is right, you can even feed them (the crocodiles are on a controlled diet, so it’s not always possible to do this). There are currently seven crocodiles in captivity at the El Cora Sanctuary, among them: Bebé, approximately 45 to 50 years old and about 13 feet (4 m) long, and Alex, the little one, only 1.5 years old and about 14 inches (35 cm) long. It’s also possible to see crocodiles in their natural habitat in the lagoon near the sanctuary. For more information about this tour, email elcora.cocodrilario@gmail.com. For more images and videos, click here.